Today is my birthday, and I got to thinking, if I could press a button and be anywhere in the world, where would I have lunch? For some reason the island of Burano, a short ferry ride from Venice, Italy, with its beautiful sherbet-colored houses and intricate hand made lace shops came to mind. In particular, there is one restaurant that I am dreaming about: Da Romano. I recently had a wonderful meal here with exceptionally fresh seafood and then took a glorious stroll around the tiny alleys of Burano, soaking in all of the beautiful colors and the crystal clear reflections the buildings made in the canals. Not long ago, I was at an intimate cocktail party in Boston with the famous designer Philippe Starck and I told him I was just back from Burano, where he owns two homes. 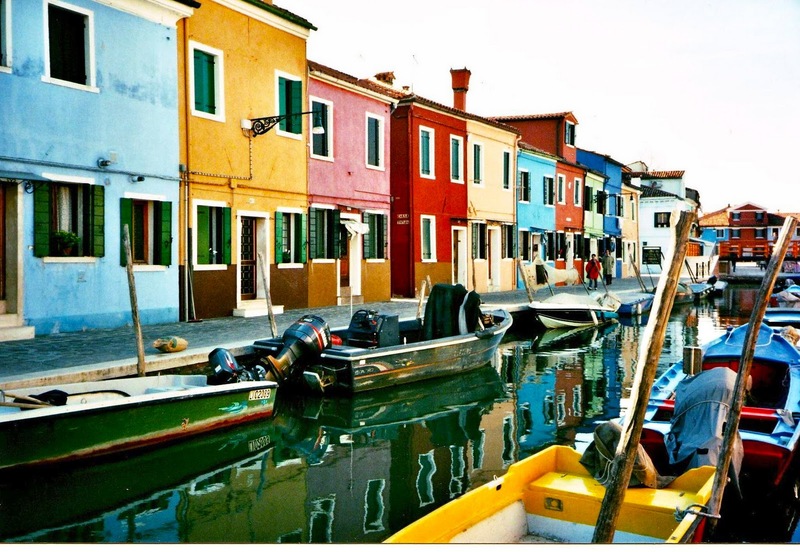 He turned to me and said (in the thickest French accent you can imagine), "The reason I own homes in Burano is because my favorite restaurant in the world is there." And I said, "Which restaurant is that?" and Philippe replied, "Da Romano, of course." He was jealous when I told him I had just recently lunched there. But bottom line is: if you are famous and own homes all around the world and you buy a piece of property just so you can be close to a restaurant, it has to serve pretty darn good food! Da Romano is also famous because they have the only wood fired grill in Venice, on which they grill super fresh seafood. They are also well known for their risotto, which they toss high, high into the air to mix; check out the video showing this on their website. Oh, and after lunch here, make sure you pick up some Buranelli, the famous biscuits made on the island. Bring some home to your friends and they will almost forgive you for having dined at Da Romano without them. (Below picture is the ashtray I bought at the restaurant to remember my lunch - I fill it with nuts when guests come over for cocktails). i love the first photo on this post!